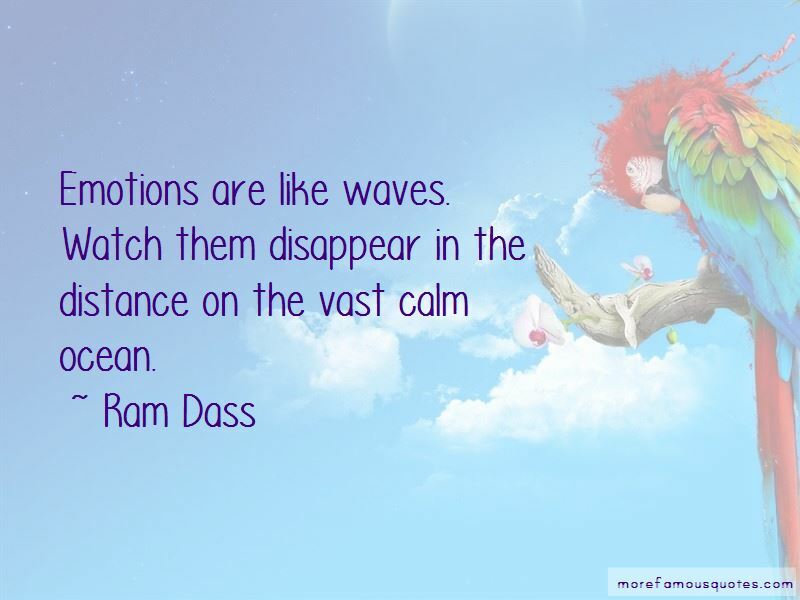 Enjoy reading and share 49 famous quotes about Calm Ocean with everyone. “The butterflies are working their way up from my stomach into my head, making me feel dizzy, and I try to calm myself by imagining the ocean outside, its ragged breathing, the seagulls turning pinwheels in the sky. “I dialed the number slowly, wanting to get it right. Two rings, and he picked up. "Yes," I said after his hello. "Mclean?" he asked. "Is that you?" "Yeah," I said, swallowing and looking out my open door, at the ocean. "The answer's yes." "The answer ... " he said slowly. "You asked me to go out with you. I know you probably changed your mind. But you should know, the answer was yes. It's always been yes when it comes to you." He was very quiet for a moment. "Where are you?" 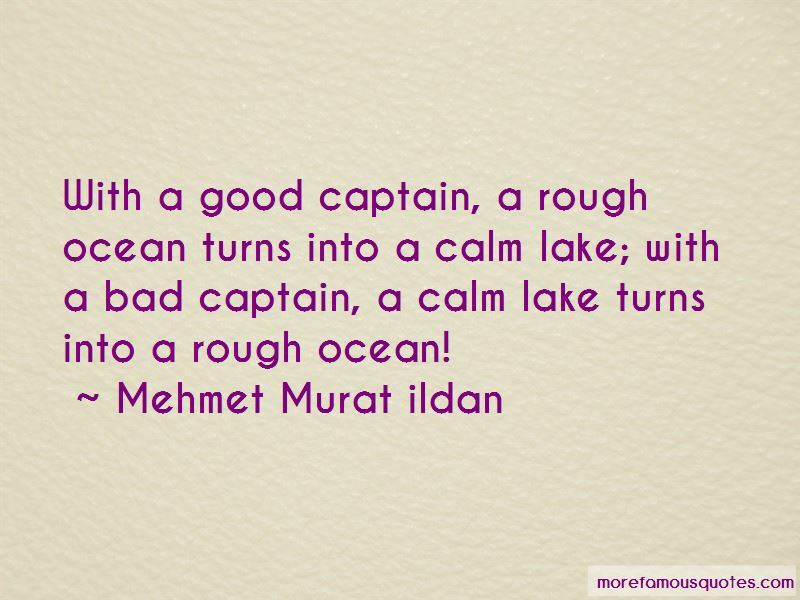 “Doubt swells and surges, with swelling doubt behind! “You wake up at SeaTac. I study the people on the laminated airline seat card. A woman floats in the ocean, her brown hair spread out behind her, her seat cushion clutched to her chest. The eyes are wide open, but the woman doesn't smile or frown. In another picture, people calm as Hindu cows reach up from their seats toward oxygen masks sprung out of the ceiling. This must be an emergency. on a sacramental table, ants whispering in Solomon's ear. 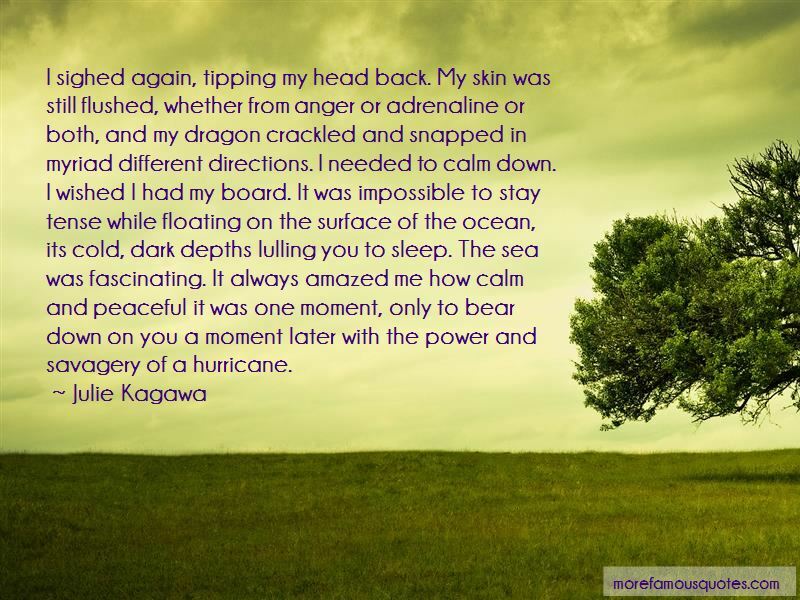 Want to see more pictures of Calm Ocean quotes? 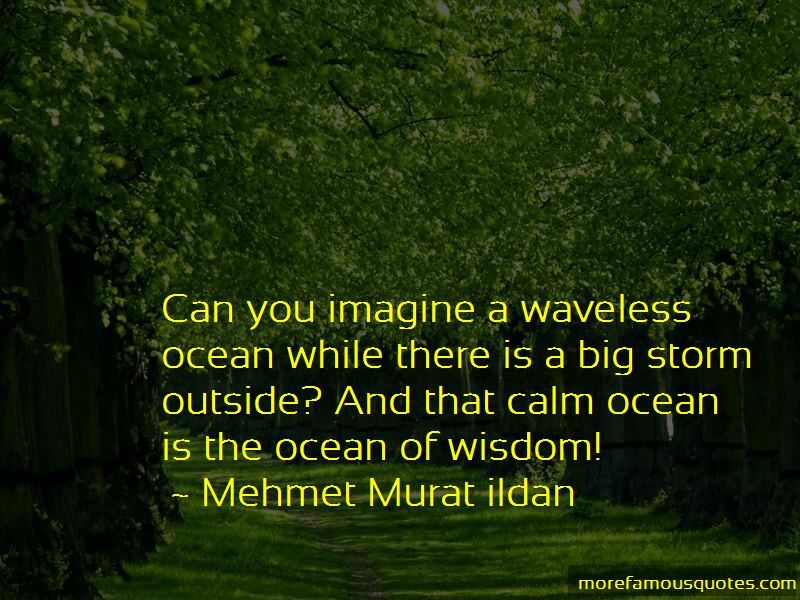 Click on image of Calm Ocean quotes to view full size.